What’s inside YOUR walls? I’m not talking about inside your home: I mean inside the walls themselves. Hidden behind your drywall may be things that would surprise you. This is something that can make a home buyer nervous for very good reasons: a fresh coat of paint and slick décor won’t matter much if the walls are hiding mold, rodents or inadequate insulation. During a renovation homeowners are often startled by what they see when they open a wall, and the discoveries can range from hazardous to bizarre. If you’re tempted to purchase an old home in Europe or Great Britain, be warned that you might find a mummified cat or ancient shoes hidden in a wall to ward off evil spirits! I’d prefer to come across hidden valuables or forgotten gangster loot—which does occasionally happen—although not as often as one might hope! 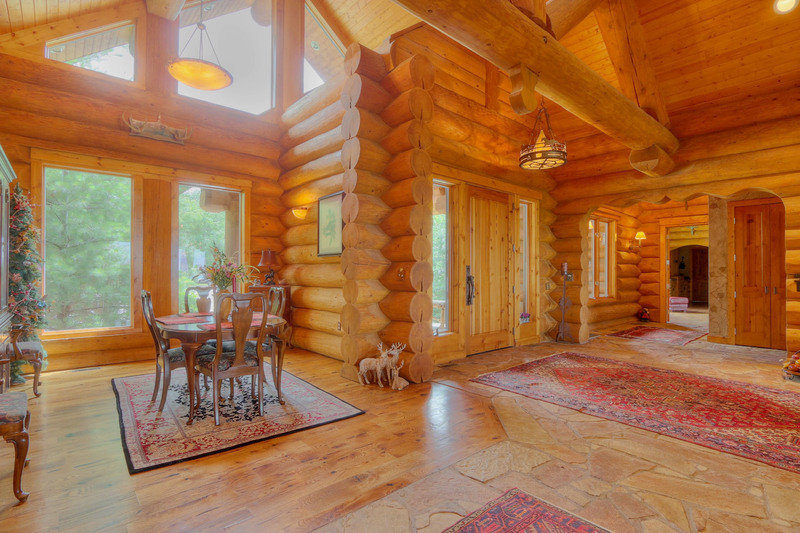 A log home, however, holds no such secrets: what you see is what you get! Solid log walls provide a hard-working multiple benefit package that includes full disclosure. In a conventional home, walls are framed with dimensional lumber that must be insulated, then enclosed inside and out. This creates the mysterious void that we can only wonder about. These layers can conceal the evidence of incorrectly installed vapour barrier or siding—mold—while it unnoticed until the damage has become extensive. On another icky note, if you’re the victim of an insect infestation you might end up with quite a colony in a wall cavity before you find out. Now picture a solid log wall: one side of the log is the exterior of the house and one side is the interior wall surface. The simplicity of this eliminates many steps in the building process and creates no hidden spaces. Insulation in a well-built log house will be sandwiched deep in the grooves where the logs fit together, held in place by their immense weight leaving no room for cats or mice! All you need is a superior wood finish product to protect the logs from normal elements inside and out. If undesirable conditions were accidentally created (rain bouncing off an incorrectly placed satellite dish against an exterior wall, for instance) mold growth would begin on the outside of the log where it could be spotted with a simple walk-around inspection and remedied quickly. Bugs could be stopped in their tracks as soon as you found an insect intruder trying to wriggle its way in. This is the kind of home inspection you can do yourself without any fuss or expense…while drinking coffee. Enjoy the practical beauty of log construction! Without any hidden spaces there are no nasty secrets inside your strong log walls! Every day proud log home owners can see for themselves that all is well. 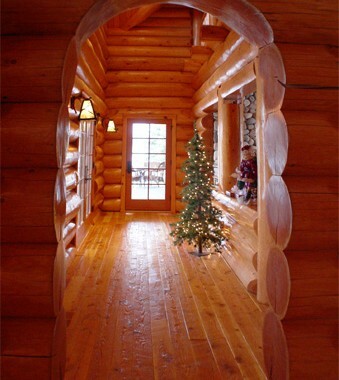 Another great reason to choose a log home or cabin! Contact us today and begin planning your log dream home!